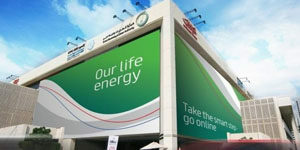 The Dubai Electricity and Water Authority (DEWA) is an open organization establishment association that was set up on 1 January 1992 by Sheik Maktoum canister Rashid Al Maktoum. The objective of the state-run company is making available to the people of Dubai an adequate and reliable supply of electricity and water. The Authority determines strategy, sets policy priorities and makes decisions on a wide range of regulatory matters, including price controls and enforcement. Our principal objective when carrying out our functions is to protect the interests of existing and future electricity and water consumers. Serving customers and meeting their needs is at the heart of everything we does. Our determination is to promote the well-being of people to achieve our vision through leadership in bringing people together, informing ideas. We are rapidly expanding, and as a result of this growth we are continually seeking highly motivated individuals for a wide range of vacancies including customer services and business development managers. DEW offers an exciting career paths for professionals. We are focused on building a world-class team to deliver innovative solutions to our clients. A wide variety of projects in a range of industries provide our individuals with the proper challenges to grow professionally. Click the Below link to apply. We wish you the very best of luck in your job search. Keep applying for jobs until you actually start receiving a paycheck, then keep your eyes open!!!! !